Meet the "Miracle Baby!" Daniel, who is close to his third birthday, celebrated his adoption becoming official on Tuesday, December 23, 1998. He was truly welcomed by a large, loving family. His adoptive Mom has 5 biological children, 3 adoptive children, 16 grandchildren, 3 great grandchildren, more than 36 foster children over the past 19 years, and just to make sure that she doesn't get lonesome, has seven or more children that she baby-sits in her home. This is truly a case of "it takes a village to raise a child." Daniel is surrounded by many people who love and interact with him. Daniel has multiple challenges in his life. He has visual and hearing impairments, microcephaly, severe seizures and allergies. Daniel loves music, is working to activate switches, and is learning to eat. He has many learning opportunities within his home and the community. One of his favorite activities is attending church. None of Daniel's challenges have decreased his ZEST for life and in actuality provide many opportunities for intervention. 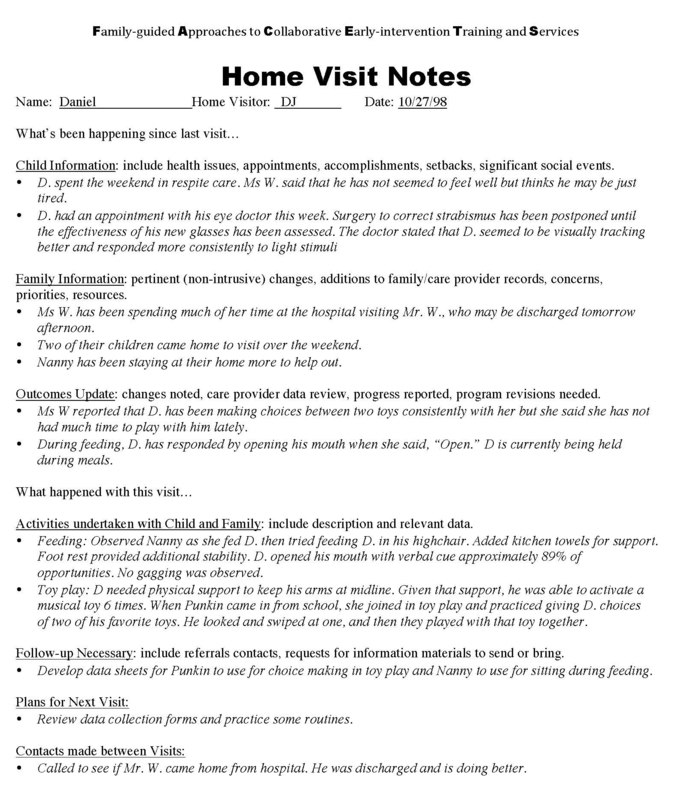 The following data collection forms were developed to document the progress Daniel made as he interacted with various family members, care givers, and friends. Preferred routines were identified and intervention plans were developed with the family and care providers involved in each routine. "Punkin" played with Daniel nearly everyday after school. Pictures of Daniel's toys were placed at the top of his data sheet. Punkin provided a choice of two toys and indicated, with a stamper, each toy Daniel chose. This gave Daniel a consistent after school playmate and Punkin a play routine of her own. keeping many of the team members "on the same page."